Corpus Christi Garage Door Repair services Gregory, TX and the surrounding communities for all their garage door repair and installation needs for both residential and commercial customers. Many calls we receive often bring of the problem of a garage door that is unable to close. 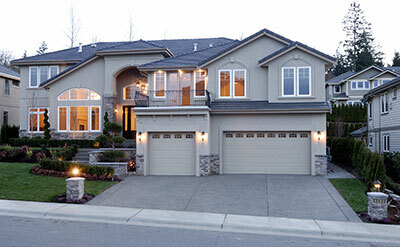 If you have a garage door that just won’t close, it might not be necessary to buy a new one. Most garage doors are built with safety sensors to stop the heavy door from closing if it detects that there is something in the way. Sometimes, these sensors are actually at fault when the door won’t fully lower. In other instances, you need to adjust the opener. 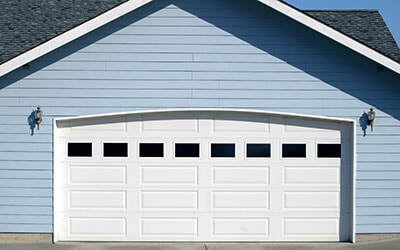 Before investigating why your garage door won’t close, inspect the floor area around the door. It should be completely clear as even small objects impede its movement. If your door lifts but won’t lower, take a look at the sensors. You’ll find a sensor on each side of the garage door. You can spot them by their lights. If one blinks or is off, it’s an indicator that the translucent beam that directs the opener to close is not aligned or malfunctioning. It isn’t too difficult to realign the beam. Press against the metal bracket that holds it or loosen the knob. Once the light turns back on, the opener should function. Also, be sure that there are no objects like child’s toys that block the path for the infra-red light beam. Sometimes, sensors misalign. This is especially common amongst homeowners who leave their garage doors open. It is easy for dirt, dust, pollen and rainwater to blow in or settle along the sensors. Take time to clean the sensor lenses from time to time to prevent the sensors from frequent misalignments. Keep in mind that your garage door is incredibly heavy. The vibrations that the door makes when it moves up and down along the tracks can also cause the sensors to misalign. Consider adding a brace to stop these vibrations. Also, give those sensor adjustment screws a few turns to tighten them. It's also important to remember that when your garage door is fully closed, the weather-stripping on the bottom should slightly touch the ground. If your door doesn’t move down to that point, adjust the automatic opener so that it makes it all the way down. Within the opener’s casing are two adjustment knobs. One alters how far the garage door opens and the other determines how far it closes. Adjust the first knob so that the garage door’s weather-stripping reaches the floor. Take care to not adjust it too far as it will eventually push up against the top track, causing wear and tear. Sometimes, garage doors won’t fully close due to worn out gear and binding tracks. Listen closely when you operate your garage door opener’s controls. If there is a grinding-like sound but the door refuses to budge, the opener’s internal gear is likely worn. It is possible to replace the worn out gear yourself but you’ll have to consult with the manual to ensure that the job is done properly. Always release the emergency catch, lower the door and disconnect the power before starting any work on the opener. Of course, you can only do so much to get your garage door to close. At some point, the best (or only) option might be to upgrade to a new door. Fortunately, at Corpus Christi Garage Door Repair, we can help.